Shipping Dimensions: 14" x 10" x 4"
Staying inside the castle all day can be boring; we know little princesses are eager to venture beyond the gates. 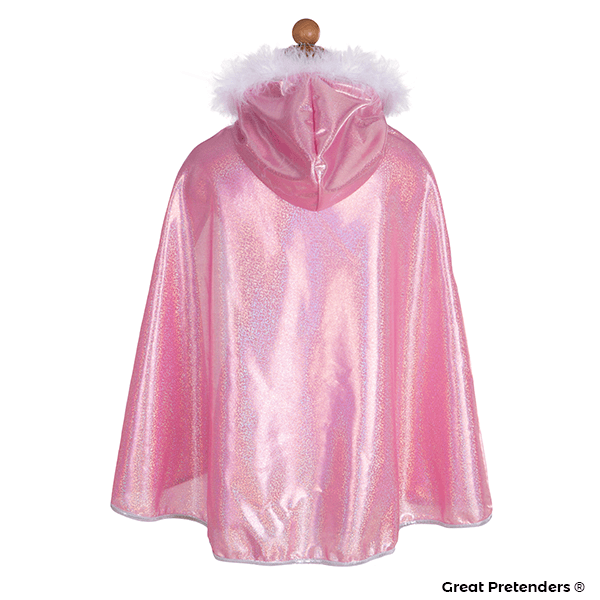 A matching pink cape is the perfect accessory to go with any adventure. Made with a heavy velour, it accentuates the princess' every move, especially when she twirls and furls! Multifaceted gems embellishing a laminated silver liquid-knit emblem remind the world of how precious she is! This cape is hooded and features a velcro neck with feather and ribbon accents. Pair with any princess accessory - this cape goes with everything - especially smiles! A perfect addition to our dress up trunk! 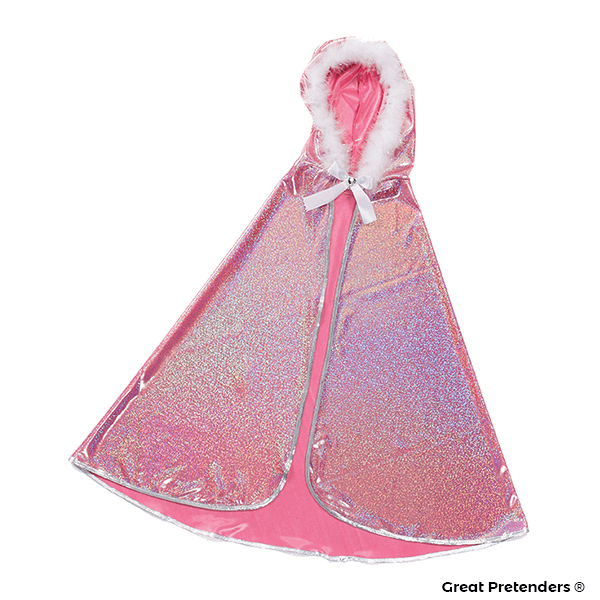 If You Liked Great Pretenders Glitter Princess Pink Cape (Size 5-7), See More Related Products Below!